Undoubtedly you have seen the building on 10th Street between State and Tumlin Streets. 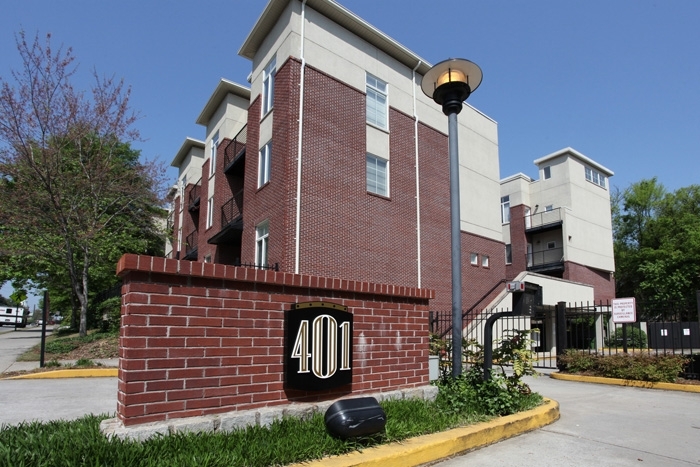 The location is an ideal one, within walking distance to Georgia Tech, Atlantic Station and so much else that Midtown has to offer. You most likely have no idea the quality and beauty that you will find inside the building that was built in 2003. A corner unit has become available and it is nothing short of fabulous. Three levels with a drive under garage below the main floor. 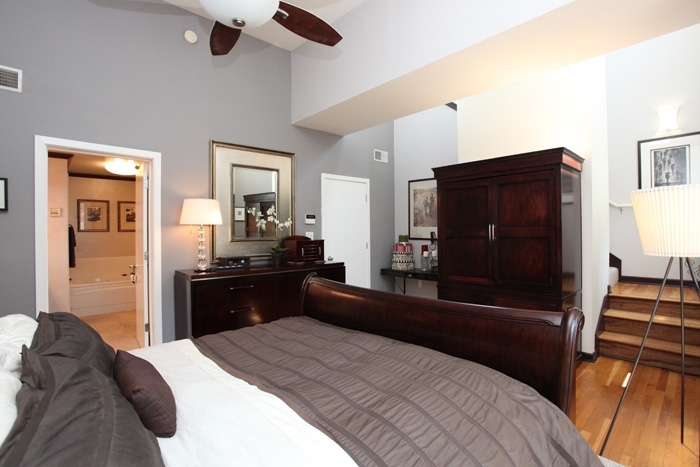 Impeccably decorated and appointed with upgraded finishes. 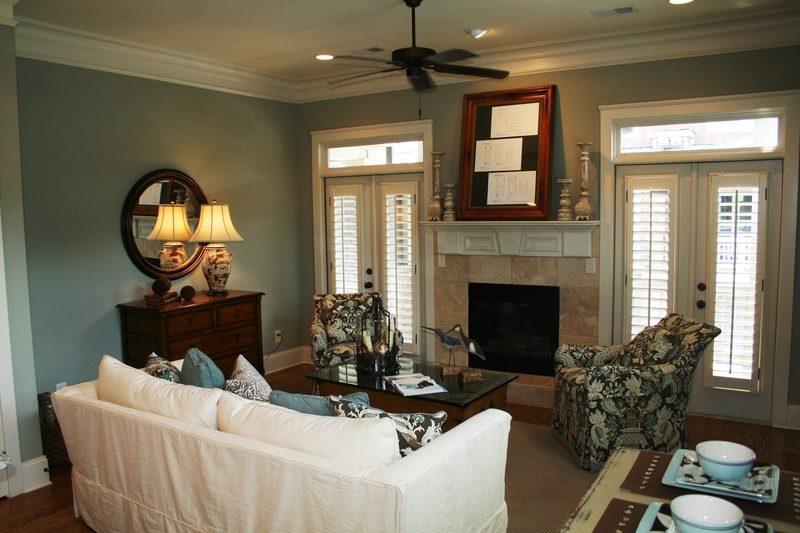 Gorgeous color accents throughout showcase this well-planned layout. 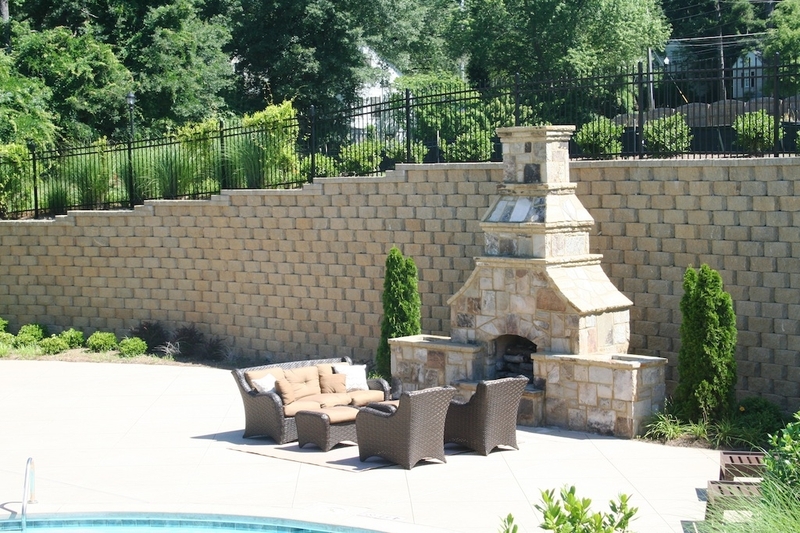 On the main level you have a large family room with fireplace and built-in cabinetry on one end. 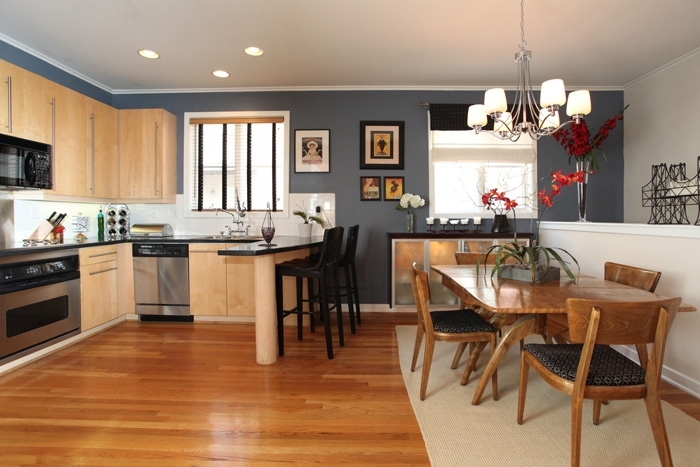 The kitchen has stainless steel appliances, modern cabinetry and a bar area. The bar almost appears to be floating, supported on one end by a half column. The design and geometrical lines keep the area open and unencumbered. Beautiful hardwoods provide continuity throughout the majority of the home, while color is used to accentuate room division on the main level. The two full baths both have tile flooring. The half bath has a stunning tiled wall behind the clear glass sink basin. Soft contemporary touches like this can be found throughout. Also, you get to enjoy three levels of outdoor living. There are two balconies and a magnificent rooftop terrace! See sweeping views of the Atlanta skyline as you have a casual dinner party or just sit down for a moment of calm as you take in one of the many reasons you love Atlanta. 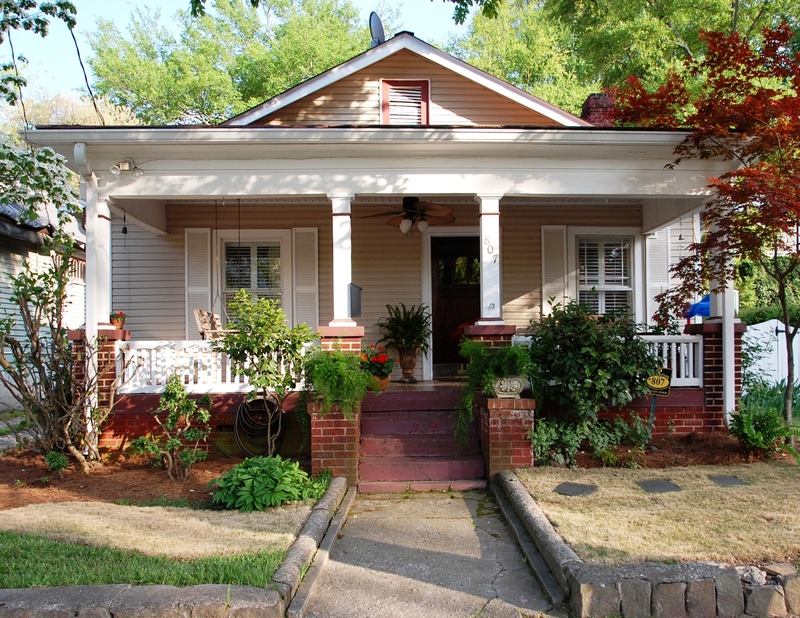 A three bedroom bungalow in Inman Park, could you ask for anything more? Maybe a renovated three bedroom bungalow with garage and off-street parking? Well here it is at 807 Lake Avenue! Loving this neighborhood is easy, finding the perfect home may have been harder, but this most certainly is it. 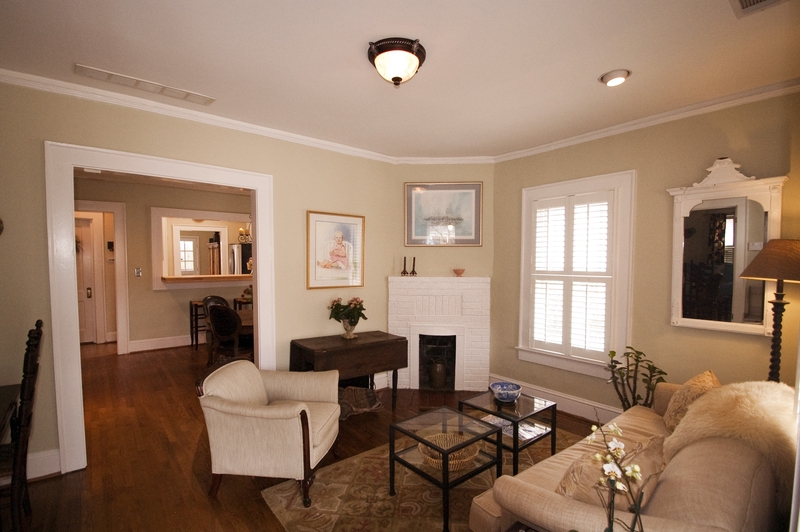 Originally built in 1920, renovations have added conveniences and more charm. 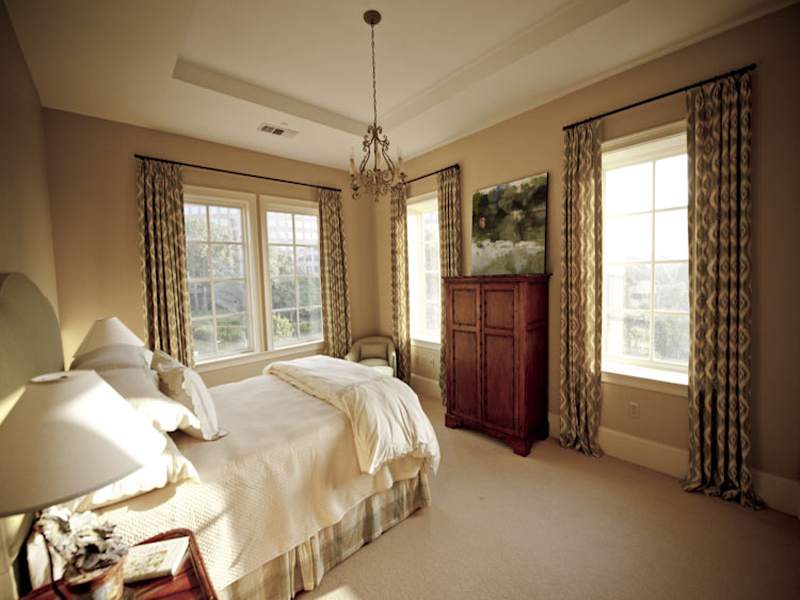 An addition of a master bedroom and upscale bath give even more serenity to a home that will bring endless joy. 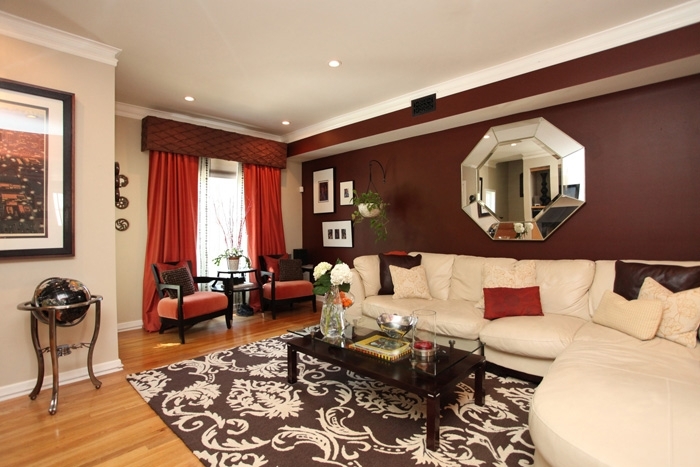 Welcomed by a front porch swing, step inside to a spacious living room with corner fireplace. 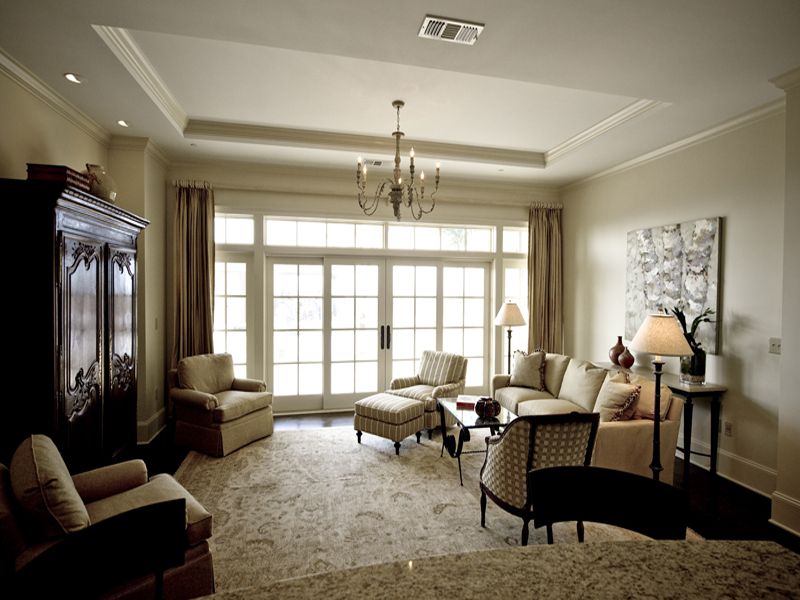 Crisp white trim and natural light give a cheerful demeanor to the home. Go throw a large cased opening into the dining room and you see into the kitchen via an opening in the back wall with bar seating. A corner fireplace backs up to the one in the front room and you are happy the current owners did not remove the character during renovation. 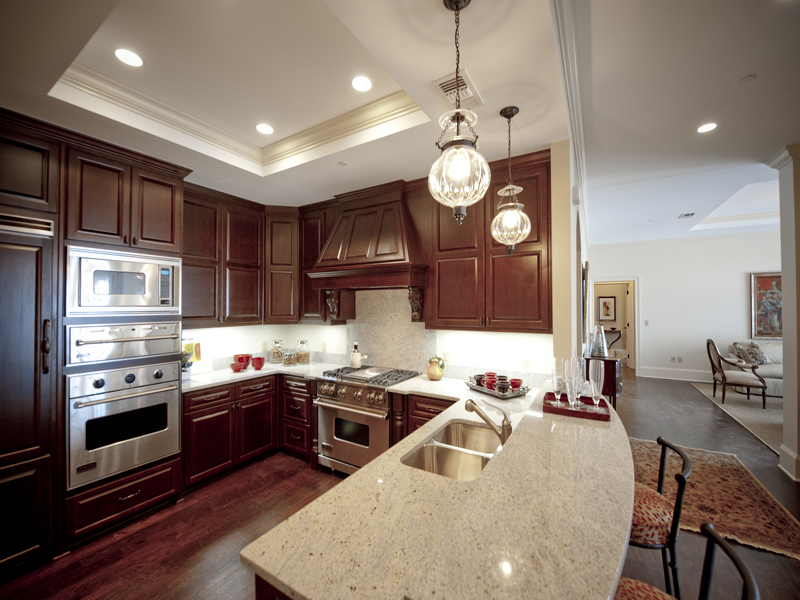 The kitchen is absolutely beautiful! 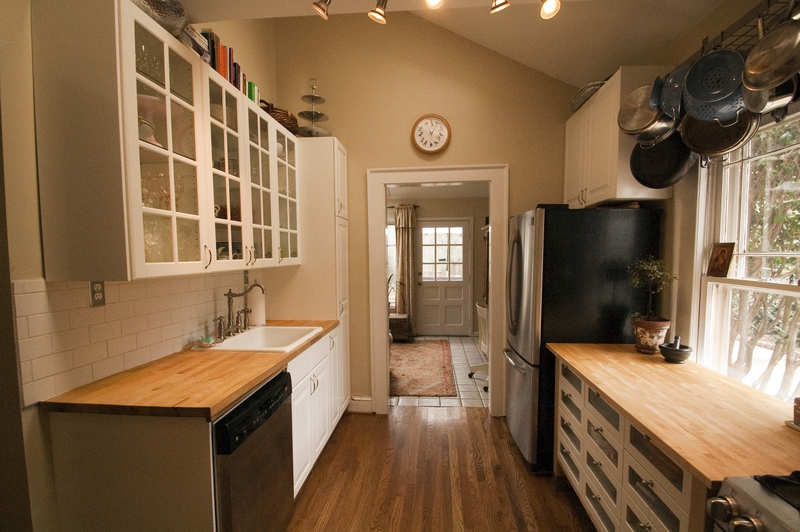 Wood countertops and white cabinetry immediately catch your eye. Between the stainless steel refrigerator and gas stove there is spectacular storage in glass front stacking drawers. What a great design element to the space. 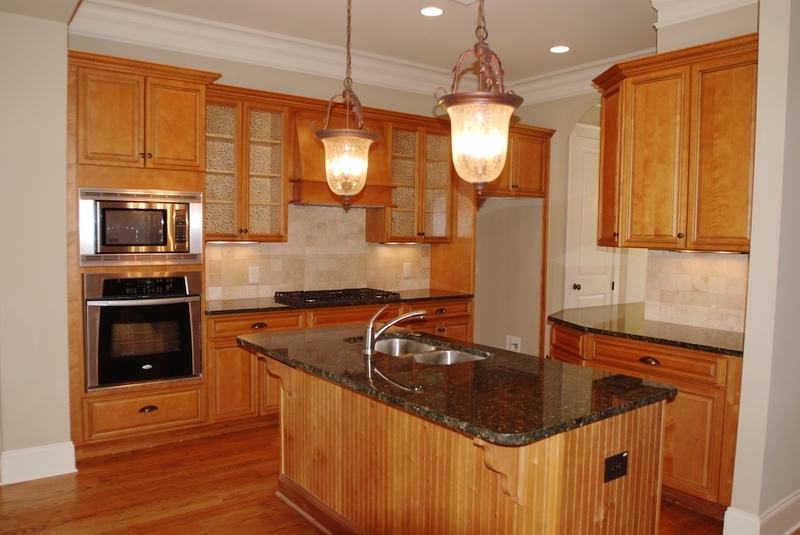 The opposite wall of upper cabinets has paned glass front doors adding balance to the space. A farmhouse sink will make you smile as you think about preparing your first meal here! The back den leads to outdoor living. 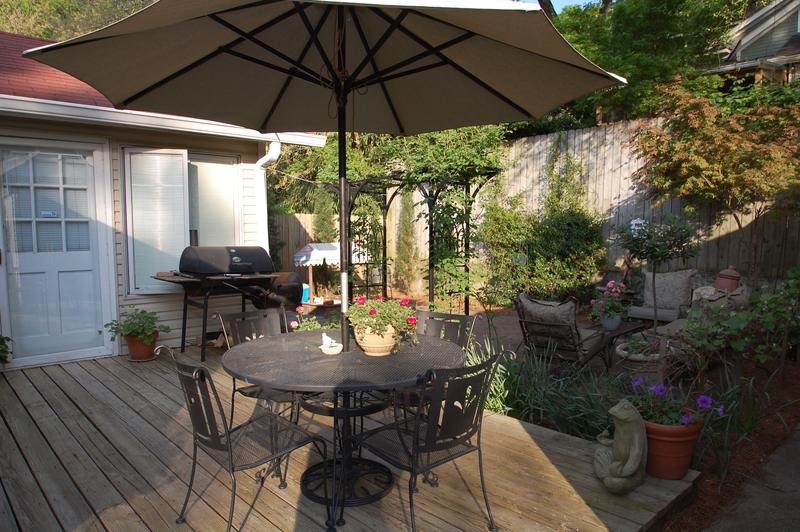 A wood deck is home to a grilling and dining area while brick pavers set the stage for an outdoor family room, allowing plenty of room for family and friends and still plenty of space for children to play. The driveway is gated allowing for extra privacy. Wake up on Saturday morning and walk to your favorite breakfast or coffee place, then come back home and enjoy your Saturday in your new home that you will undoubtedly treasure and enjoy for years to come. For the second month in a row, home prices in metro Atlanta increased. CoreLogic (NYSE: CLGX) on Tuesday published its Home Price Index (HPI), which shows home prices, including distressed sales, in metro Atlanta rose 4.03 percent in May 2010 compared to May 2009. This compares to April’s year-over-year HPI, which was 1.11 percent. Home prices in the United States also rose in May, marking the fourth-consecutive month with a national increase. American home prices, including distressed sales, increased 2.9 percent. The top five states with the highest appreciation in May were Vermont (5.1 percent), Rhode Island (5.5 percent), Massachusetts (5.7 percent), Virginia (6.8 percent), and California (7.9 percent). The five state with the biggest price losses were Idaho (-6.6 percent), Alabama (-5.3 percent), New Mexico (-4.2 percent), Maryland (-3.1 percent) and Wyoming (-3.1 percent). 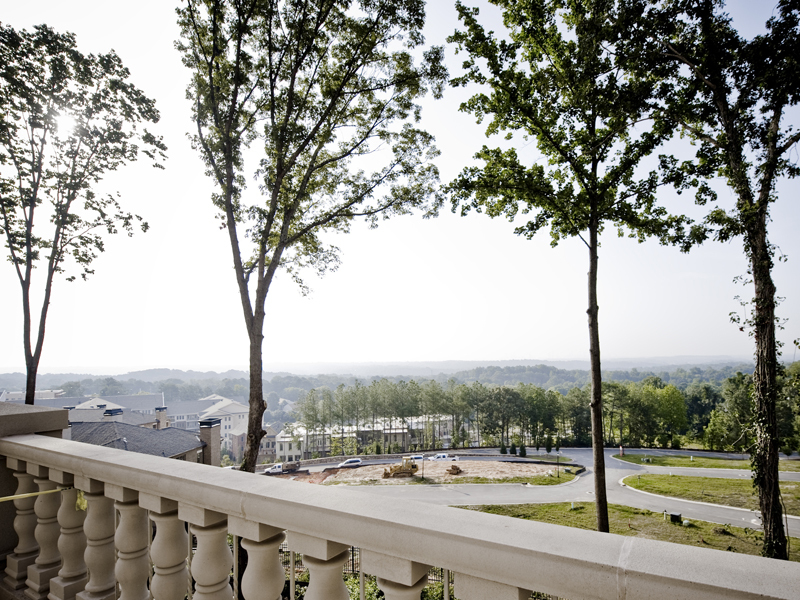 ATLANTA –The Aberdeen, the beautiful development located in historic Vinings, is partnering with Atlanta Fine Homes Sotheby’s International Realty to launch an innovative Home Resale Program. The aim of this program is to assist buyers who are in the market to purchase a condominium but need to sell their single-family home before going to contract. The Home Resale Program extends to each residence in The Aberdeen except those discounted as a part of Grand Opening pricing incentives. 1) Make an appointment with Judie Mattie or Beverly Ricker (770.435.6428) to schedule a personal tour of The Aberdeen and experience the exceptional amenities and residences. 2) Decide on the perfect Aberdeen residence for you and your family. Write a contract contingent on the sale of your single-family home. 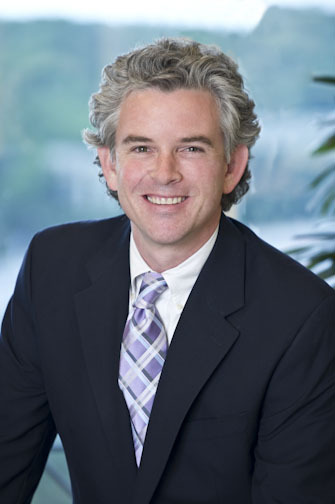 3) The experienced sales team at The Aberdeen will pair you with a helpful Atlanta Fine Homes Sotheby’s International Realty residential sales associate to assist in the sale of your home. 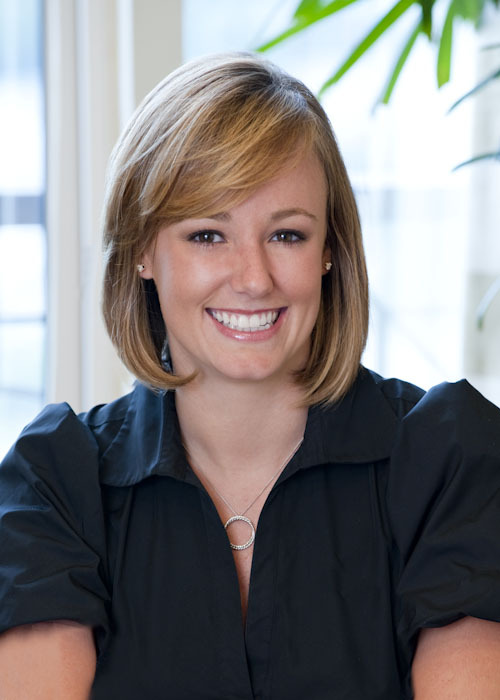 The agent will provide you with a comprehensive analysis of your neighborhood and the best industry knowledge. 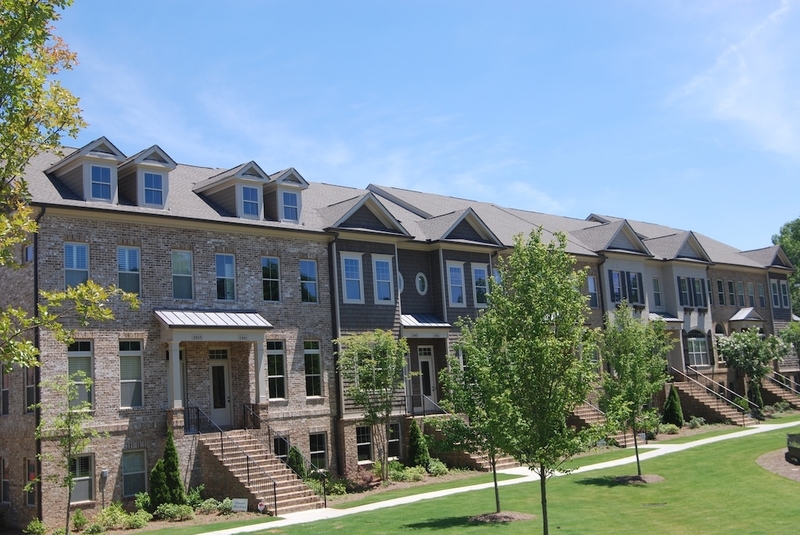 4) When your single-family home sells, the development at The Aberdeen will reimburse you for the Atlanta Fine Homes Sotheby’s International Realty broker listing side commission by issuing a credit at the closing of your new Aberdeen residence. 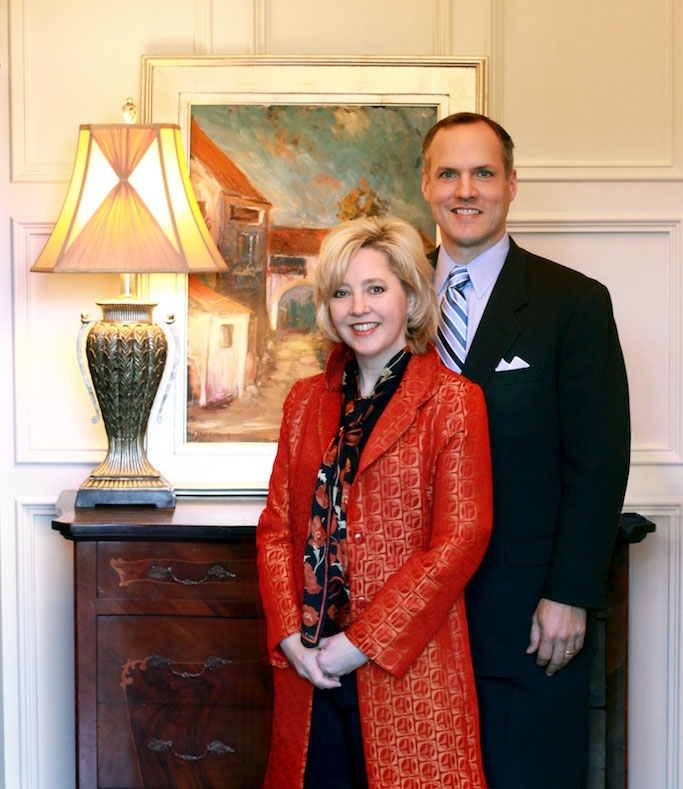 Developed by Atlanta-based Taz Anderson Realty Company, The Aberdeen is located at 2700 Paces Ferry Road in Vinings. 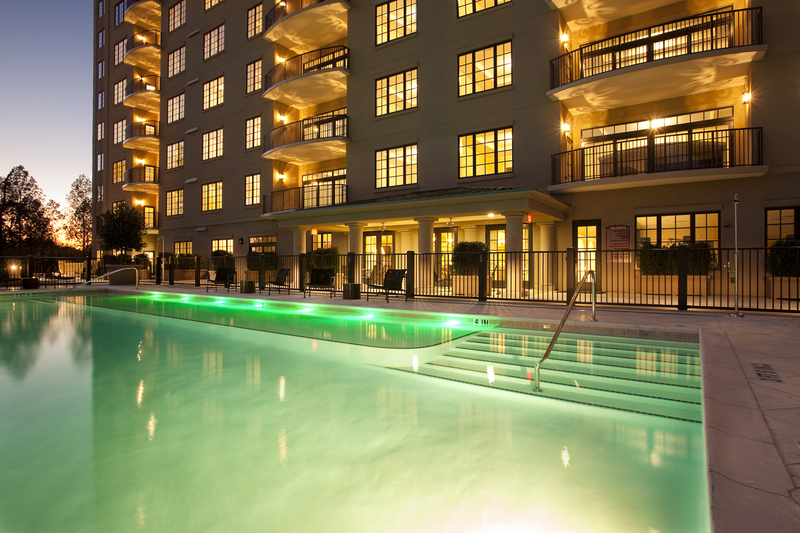 With current incentive pricing, the value of an investment at The Aberdeen is unmatched in Atlanta. Offering spectacular skyline views from each residence, The Aberdeen is situated in perfect proximity to Buckhead and all of Atlanta’s major thoroughfares. Exclusive amenities include state-of-the-art finishes and fixtures, such as Viking Professional Series appliances, a fitness center and an indoor driving range with golf simulator. Residents also have access to the club room, which offers a full catering kitchen and a wine cellar with private storage lockers. To learn more or to schedule a tour, call 770.435.6428 or visit www.aberdeenatl.com. *Total brokerage fee is 6%, to be paid at closing. **3% listing commission will be calculated on the sold price of the buyer’s single-family home and will be applied as an additional price reduction at the time of closing of The Aberdeen condominium purchase. Below are the statistics I have compiled for Buckhead home sales in April 2010. These numbers reflect single-family detached homes in area 21. You can also view the “Buckhead Home Sales Reports” tab above to see historical data for Buckhead. These numbers are pretty similar to those in March. There were 11 less sales but the average sales price, sales price/list price ratio and days on market were all relatively unchanged. The exciting news is there are 158 homes pending sale right now in Buckhead as home buyers raced to get a home under contract by April 30th to take advantage of the Home Buyers Tax Credit. Did you go under contract on a home recently? If so, I’d be interested to know if the Home Buyer’s Tax Credit was an incentive for you to do so by April 30th. Please leave your comment here.